In honor of the 242nd year since his birth, I herewith offer one of the greatest moments in Beethoven’s entire, varied output. It’s the quartet in Fidelio that gives us many things rare in opera. For one thing, we have four people in a non-comedy singing at once, all of whom are actually good — who are meant to endear themselves to us for various reasons. 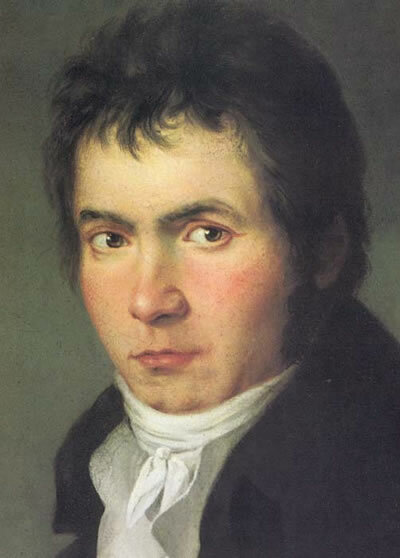 Here Beethoven does some things that are very difficult to do — and impossible for almost everyone else. First, he has characters sing the same music while having contrasting thoughts. He does this by having the music that they share portray not their specific meditations but the moment itself. The latter is common to all of them; and, while there are subtleties in the orchestra and, later on, certain passing harmonic events that portray some incidental disunity of the sort that all human interaction is prone to, the music does something that was not possible by other means until the invention of cinema: we have a quadripartite split screen, as it were. So intensely felt by performers, by us — but first by Beethoven! Heaven protect us from a director who would surround such a moment with busy action to “keep it interesting”! Many of us were taught that Fidelio is a relative failure as an opera — before we ever had a chance to become familiar with its actual attributes. I pity people who can hear it in a fine performance and think so.